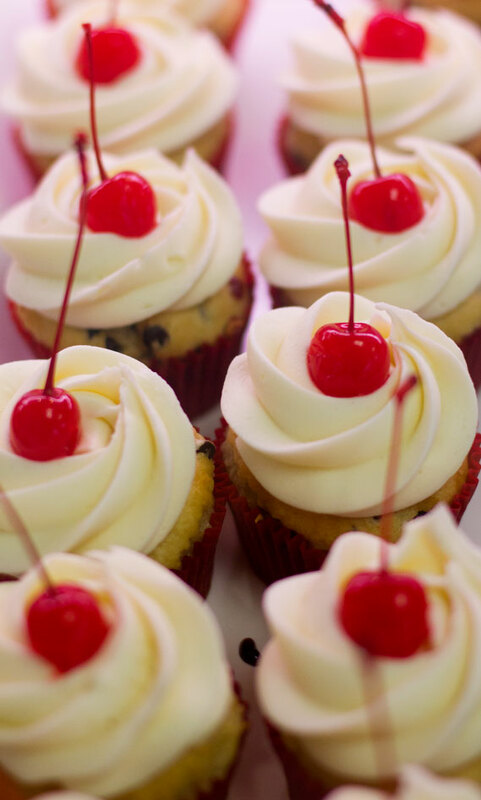 One of the few gluten free bakeries in the bay area that has mastered the art of gluten free baking while operating in a 100% dedicated gluten free kitchen is Miglet’s Cupcake Shop in Danville, Ca. 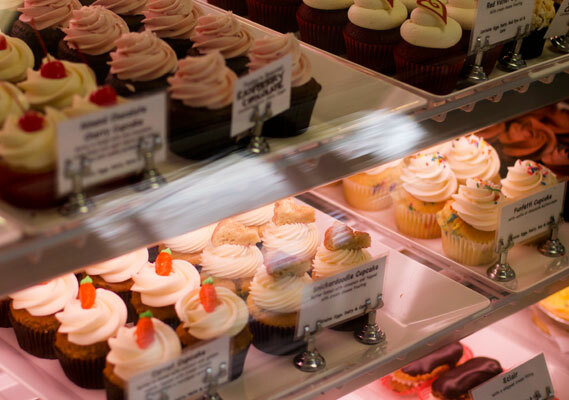 Miglet’s offers at least a dozen exciting cupcake options and is also a full service bakery featuring a wide variety gluten free baked goods. 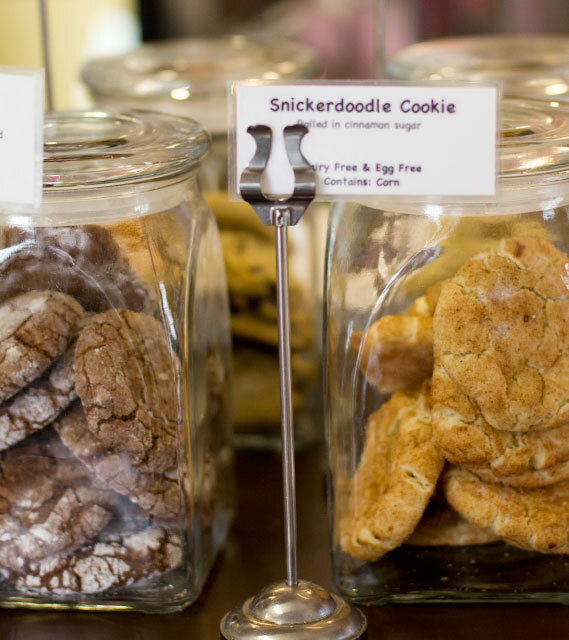 Owner Katie Taylor has a lifelong passion for baking. After gaining professional experience in the bakery at Whole Foods Market, Katie decided to start her own gluten free bake shop to fill a gap in the growing market for gluten free treats in the bay area. Katie’s biggest inspiration has been her mother, Elaine Taylor of the Taylor Family Foundation who has celiac disease and works to better the lives of children with chronic illnesses and developmental disabilities in Northern California. In a short time, Miglet’s has become an indispensable resource for celiacs and those with other food allergies living in the bay area. Miglet’s also offers gluten free/vegan cookies and cupcakes. When I bit into a Miglet’s chocolate chip cookie, I realized I hadn’t eaten a real cookie in 5 years. There are too many goodies on the Miglet’s menu to list them all, and Katie also accommodates just about every special diet (ask about items free of dairy, casein, eggs, soy, nuts, or corn). After all, how many places can a celiac find fresh rolls, donuts, quiches, bread sticks, cakes, and ice cream cookie sandwiches? The best part is, Miglet’s baked goods don’t taste gluten free. Chocolate cupcake with peanut butter filling and a rich mousse frosting on top? I’ll take five. Thousand. *Find Miglet’s products at the bakery location below or at specialty food stores listed on their website. Amazing place! i have not been let down. Their entire kitchen is Gluten Free! I have never found a place that has so many different options. The owner is amazing! She is so nice and loves what she does. For my 21st birthday i had the most beautiful cake i have ever seen. Since I was 9 years old it has been mud pies (chocolate pudding). Not this time. I had a cake for me and cupcakes for my 50 of closest friends. Growing up and not being able to have a cake at my birthday was sad, and when my mom walked out with a cake with candles on it made my birthday perfect. I have to thank Katie Taylor for all the amazing things she has brought to Danville. This is something you can’t miss. Take a trip to Miglet’s, you will not regret it! Love Miglet’s! One of the best GF bakeries in Northern California. Love your blog; looks like we share the same passion for great GF establishments in the Bay Area! All the best. Look forward to your new finds. Which he needed because let’s be honest all he’s got left is two or three years at best to acomplish that. Gutless for the fact that reports say he didn’t want the pressure of getting San Francisco to the Super Bowl next year or having to face his little brother. I’m not even a San Francisco fan, but even I could see that was his best bet to get back to the Superright away.